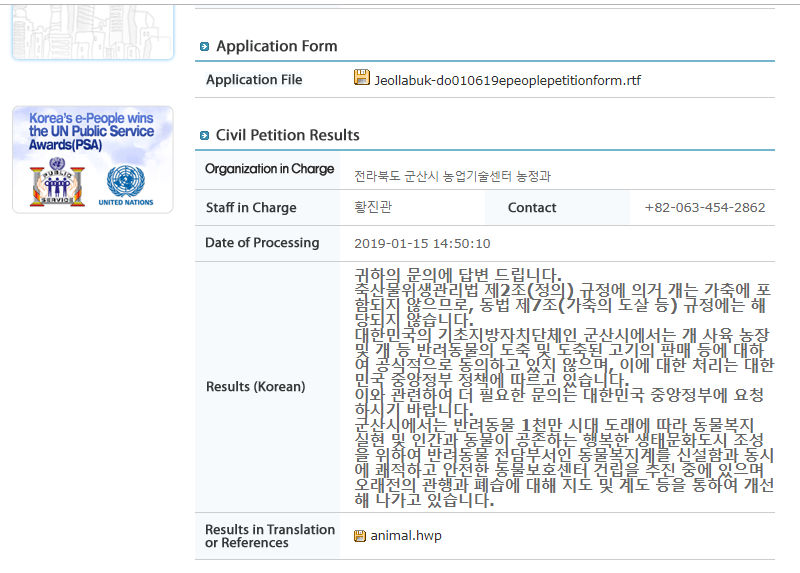 Below is Gunsan’s response to our petition: Gunsan, South Korea, Shut down the illegal dog meat farms, slaughterhouses and markets. People of Gunsan – the world is watching this with horror and no one who has a brain and a heart can help but weep at the sight of these wonderful animals being tortured and abused. We understand you are moving towards stopping this abominable practice but you must move NOW. Be assured that we will keep on and on and on until it stops. You are shaming your country, you are showing it to be ugly and ignorant and cruel. This MUST stop. Please, I beg of you, all of you that are allowing the torture of dogs and cats, Come on, You are the people of the lands that are powerful, beautiful, intelligent and you all know this is barbaric n honestly psychotic. This disgusting behavior towards the most vulnerable and incredible creatures in our magnificent World is appalling n heartbreaking!!Please. Please stop this terror now!! The cruel treatment of Gods creations, his gifts to all of us is uncromprehensable. This barbaric treatment of dogs is insanely heartless Please stop this barbaric form of survival and try to cherish these helpless terrified animals..